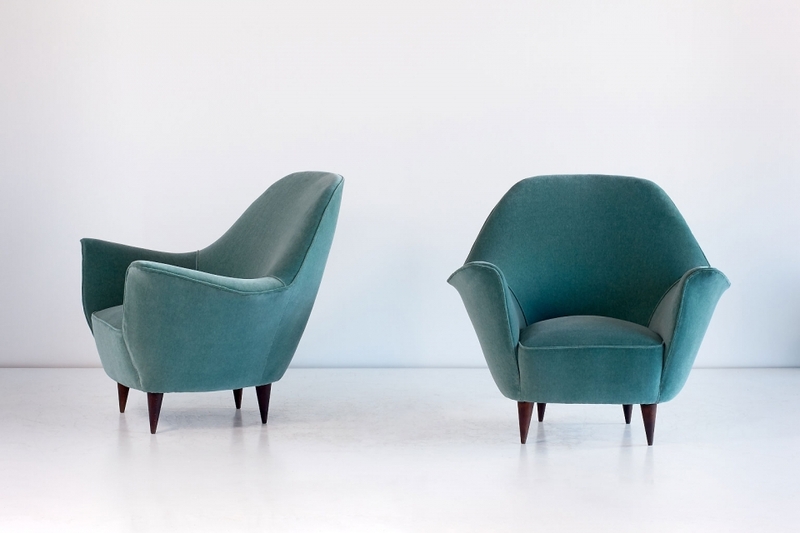 These sumptuous armchairs were designed by Ico Parisi in the early 1950s. The invitingly opened petal-shaped armrests, its striking curves and elegantly tapered legs give these chairs a sculptural and modern feel. 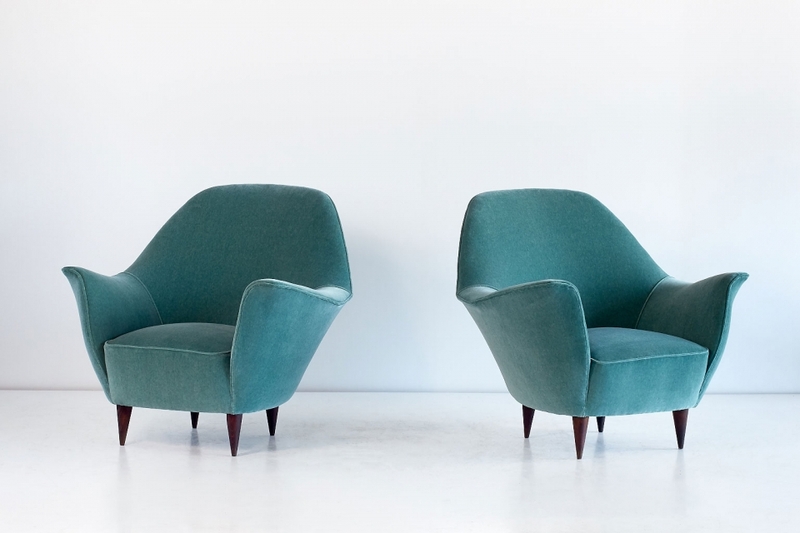 The generously sized Italian chairs have been fully reconditioned and newly upholstered in a soft, jade green Dedar ‘Dante’ velvet. Condition: excellent, the chairs have been fully reconditioned and newly upholstered in a Dedar Dante velvet.